As people grow older, the last set of molars called wisdom teeth start to develop. Due to them typically developing to the point of crowding other teeth, dentists often recommend wisdom teeth removal to avert complications. When wisdom teeth start to ache, most people visit the dentist to have it removed. Wisdom teeth removal is performed through a surgical procedure to safely and correctly extract the wisdom before they cause further issues. If you have booked an appointment with the dentist to have your wisdom teeth extracted, then you should be familiar with the process. 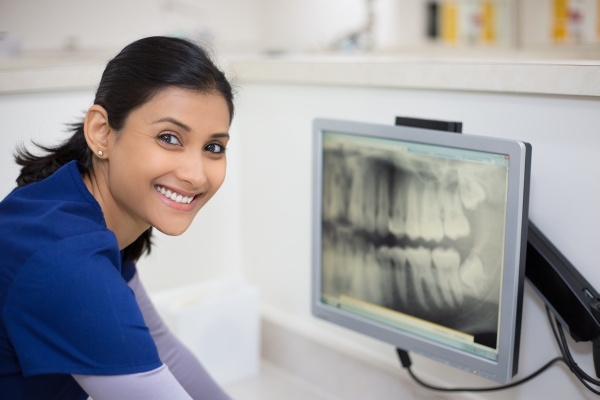 First, the dentist will conduct an X-ray scan of your mouth to check the growth and size of the teeth. This will help the dentist ascertain the position of the wisdom teeth and their rate of growth. Afterward, the dentist will inject a local anesthetic into the gums and the surroundings of the wisdom tooth. This will render you numb and unable to feel pain while the procedure lasts. In some situations, they may administer nitrous oxide to calm your nerves or keep you completely sedated. The choices are usually dependent on the patient. The dentist will then make incisions in the tissue and bones around the wisdom teeth to extract them from your mouth. Although the process is similar to typical tooth removal, wisdom tooth develop straight from the jawbone and are therefore more difficult and painful. After removing the wisdom teeth, the dental expert will then proceed to meticulously clean the socket before stitching up the incision to give room for healing. After wisdom tooth removal, the dentist will give you gauze to place inside your mouth to aid in blood clotting in the socket and quicker healing. It is normal to see and taste small amounts of blood for some days while your mouth heal. The bleeding should reduce soon enough. If it does not, reach out to your dentist so they can check the area to make sure infection has not set in. You will also get prescriptions for pain relievers and antibiotics to help your immune system fight off possible infection while you heal. Avoid smoking and drinking through a straw after wisdom teeth extraction. They often cause dry sockets, which can result in severe pain and complications. Dry sockets happen when blood cannot clot, and the wound is not healing. As much as possible, keep chewing away from the wisdom tooth area until the wound has healed completely. For the next few days following the procedure, you will only want to consume soft, cold foods such as pudding, yogurt, and ice cream. Get as much rest as you can and try not to work out for at least three days. The average healing duration after wisdom teeth removal is about five to seven days. Maintain oral hygiene to prevent infections, but try not to brush too close to the wound or you may open up the stitches. Once the healing process is complete, you can return to your normal routine without suffering any discomfort. Request an appointment in our Redwood City dentist office here: https://www.redwood-dental.com.